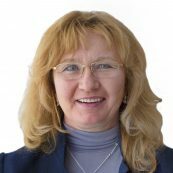 Natasha Savicheva has over 20 years of experience in international development, nonprofit management. Originally from Russia, Natasha began her career in international educational and scholarly exchanges, later becoming Country representative in Russia for a number of international nonprofit organizations. Prior to joining PYXERA Global in 2017, Natasha worked for IREX (International Research & Exchanges Board) - a nonprofit organization committed to global development and education.